Faf Du Plessis is the Captain of the South African T20 Cricket Team, and the most well rounded player of the current team. Faf is said to be one of the most flexible and agile player on the field of cricket. Being powerful with the bat and handy with the ball, du Plessis have proved to have all the required ingredients that go into the making of a player of this modern era. Faf du Plessis, born in Pretoria, South Africa is one of the many titans of the South African National Cricket Team along with fellow cricketers and school friends AB de Villiers, Heino Kuhn and Jacques Rudolph. He is also a graduate from the University of Pretoria. 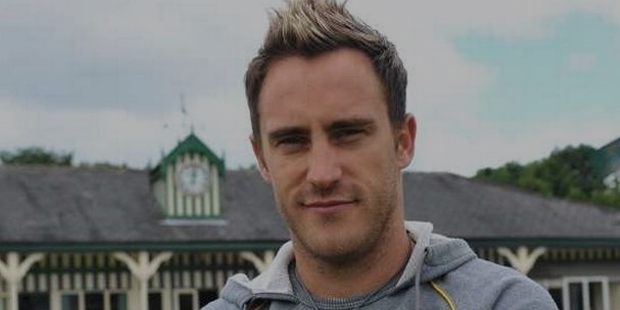 Faf du Plessis is the second cousin of Namibian rugby player Marcel du Plessis. Francois ‘Faf’ du Plessis was considered to be one of the four inexperienced players to be named in South Africa’s preliminary squad for the ICC Cricket World Cup in the year 2011. But due to an impressive half-century on ODI debut in the same year earlier against India, he was selected into 15-man squad. 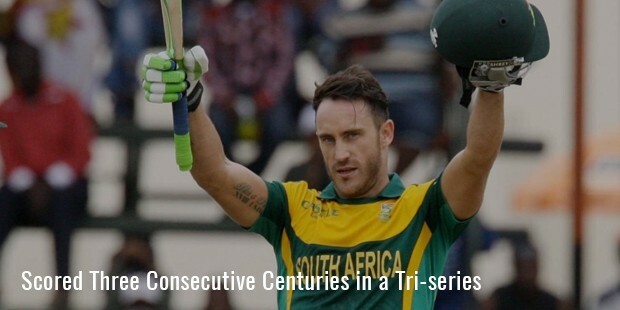 Faf du Plessis played number of matches but didn’t succeed in showing his talent through the performance as he managed to surpass the 50 (half-century) just once. His never ending perseverance for being in a list of one of the most popular and best player of cricket never let him down, at last his hard work made it possible. 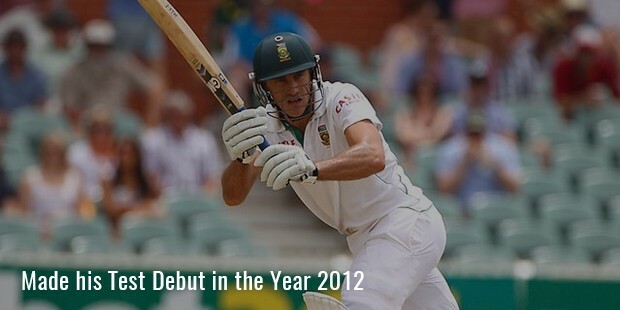 Faf du Plessis made his Test debut in the year 2012; there he won the title Marathon Man. He became the fourth South African to score a century on Test debut. Then came some great success in the South Africa’s domestic league MTN40 in the year 2010-11. 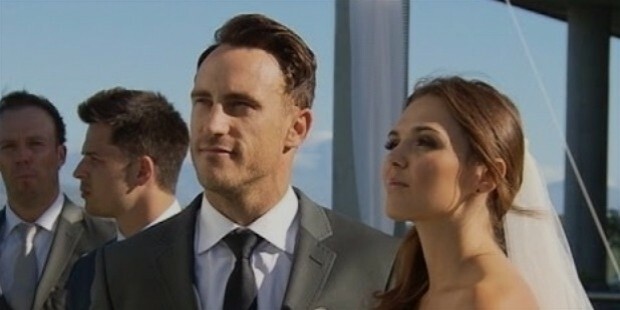 Faf du Plessis with his awesome. Faf du Plessis was retained in South Africa’s World Cup squad, just after building on the 60 he scored in his first innings; although the campaign ended in the quarter finals where the South African middle-order imploded against New Zealand. Faf du Plessis came of age as a batsman in August-September 2014 when he scored three consecutive centuries in a tri-series against Zimbabwe and Australia. After a brief desist at the helm, Faf du Plessis was named as full time South African T20 captain in the year 2013. From 2011-2015 he played in the Indian Premier League for Chennai Super Kings. He has been snapped up by Pune Supergiants for the 2016 season when Chennai Superkings were suspended from the IPL. Francois is married to Imari Visser.